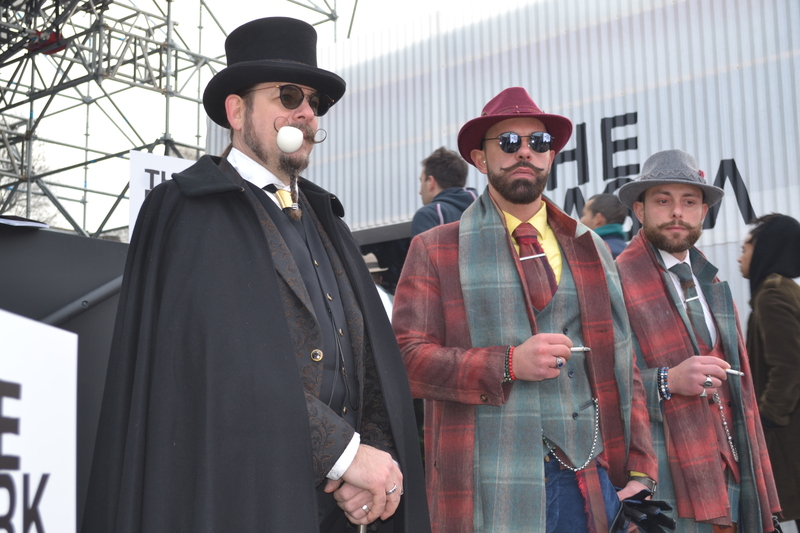 You can spot trends in Pitti in everything you see, from the brands who have stands to the peacocks sitting around – you are bound to get inspired. Some of the trends we spotted included neon and vivid colours, regardless of it being winter, Pitti didn’t shy away from colours. Statement stripes never disappoint, they add a touch to a simple suit and this year Pitti did not fail to show it – this year was far from the classic pinstripe, these lines were thick, bright and bold. Boater Hats seem to make it into the trend roundup every year, this year however they were mostly made of straw. There seemed to be a great love for the Chelsea boot, heavy-duty black boots that give a ‘cool’ vibe to any outfit. And finally, for all the ‘clueless’ lovers, Check is back! Recalling the classic English style, nothing screams menswear elegance like a tailored check coat. Glenn Martens, dubbed the genius of deconstructionist behind the label Y/Project, whom was the guest menswear designer on this season’s calendar, exhibited his fall 2019 men’s in Santa Maria Novella. The show was accessible and open to a lot of students, true to Martens’ style of bending the norms, he delivered a conceptual show that transported viewers into another dimension. The show featured unmissable squared toed shoes, in a variety of materials and colours: baby blue or sand suede, crocodile-embossed or patent leather. Dapper Dan & Gucci’s book launch was definitely a memorable moment for both brands, with the deep and almost dark history of the brands together there is a light that came from the new book collaboration: a limited-run publication shot by Ari Marcopoulos, was launched at Gucci Garden. All in all, we love Florence’s take on fashion week! The Tuscan aromas, nostalgic English country-side colours and the main topic of eco-sustainability was a delight to any fashion-junkie.